Microsoft’s marketing for cloud offerings is changing often and sometimes can be confusing to customers – like me. Often, there are Microsoft consumer brands that sound line enterprise brands, but are two different products behind the scene. One place this confusion is prominent lately is in cloud based email clients. 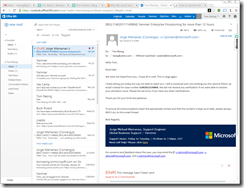 There are two different web email clients, one focused on consumers, basically advertising funded, Outlook.com and one sold to businesses, Outlook Web App in Exchange Online as part of the Office 365 for Business suite. 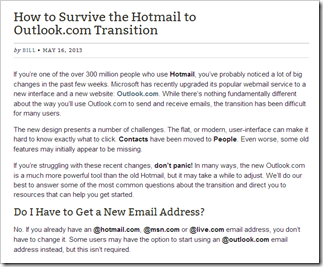 Outlook.com is the latest version of the Hotmail product for consumers. It has 400 Million users and is supported by advertising like GMail. You can login to the service with your Microsoft Account at http://outlook.com. In my experience, I’m redirected from that address to a web address in the mail.live.com domain. Outlook Web App used to be called Outlook Web Access and is sometimes abbreviated OWA (commonly pronounced O-W-A or Oh-Wa.) It is a web client for Exchange Server or Exchange Online. The web client has been improved with each successive version of Exchange and the latest is shipped with both Exchange Server 2013 and Office 365 for Business Exchange Online. 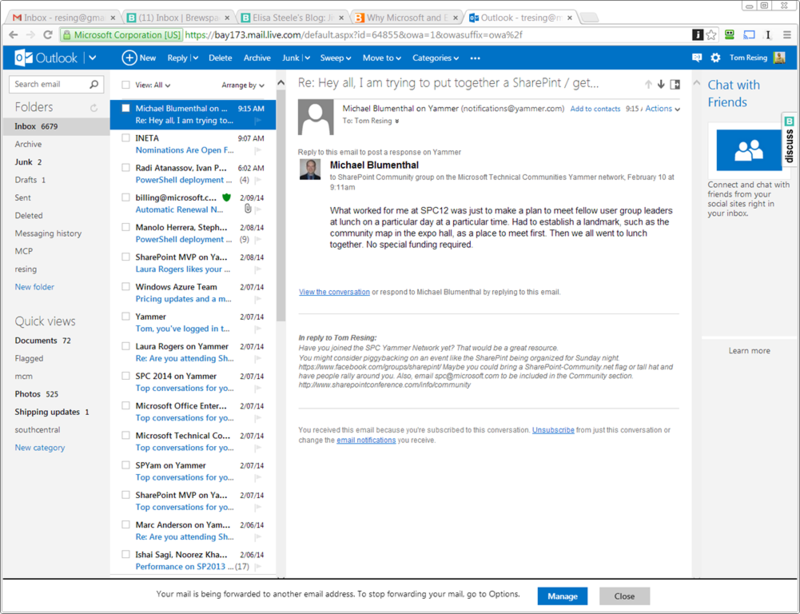 Try not to confuse Outlook Web App with Office Web App, which may be rebranded Office Online. This second OWA is sometimes referred to as WAC for Web Application Companion for example see this OneNote help page or this slide deck from MCA,MCM and MVP Wictor Wilen. Office Web App is a service that provides web clients for popular Microsoft Office Desktop products, like Word, Excel and PowerPoint. 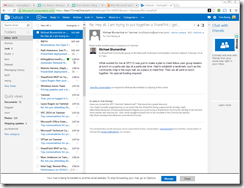 Like Outlook Web App, it’s available in an on-premises version, complimentary to SharePoint and a cloud version as part of Office 365 for Business. 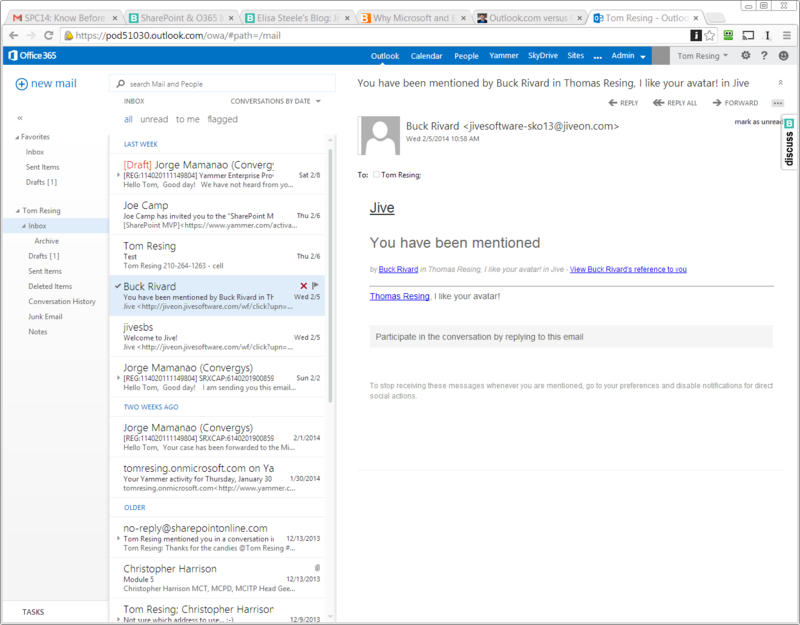 I can’t find much technical reference material that I can link to which highlights the backend differences of Outlook.com versus Outlook Web App. My guess is that there are two different teams working on the two different products. Also, outlook.com should have been engineered from the ground up to be cloud capable. On the other hand, Outlook Web App was developed originally to be an on-premises solution and retains the legacy of that design. Here’s one peek behind the scenes which is telling on the legacy of the two applications. 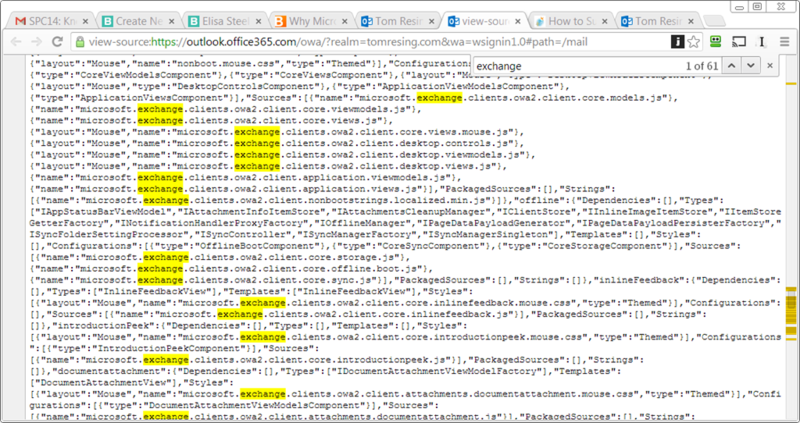 When I view the HTML source behind Outlook Web App in Office 365, I see 61 references to Exchange. 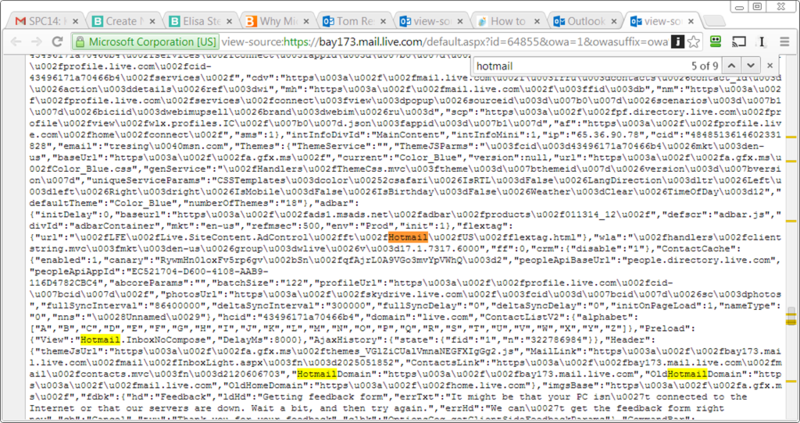 When I do a similar look behind the code of Outlook.com, I don’t see any exchange references, but there are 9 to Hotmail. Office 365 all the way for me. I wondered what OWA stud for and now I know.